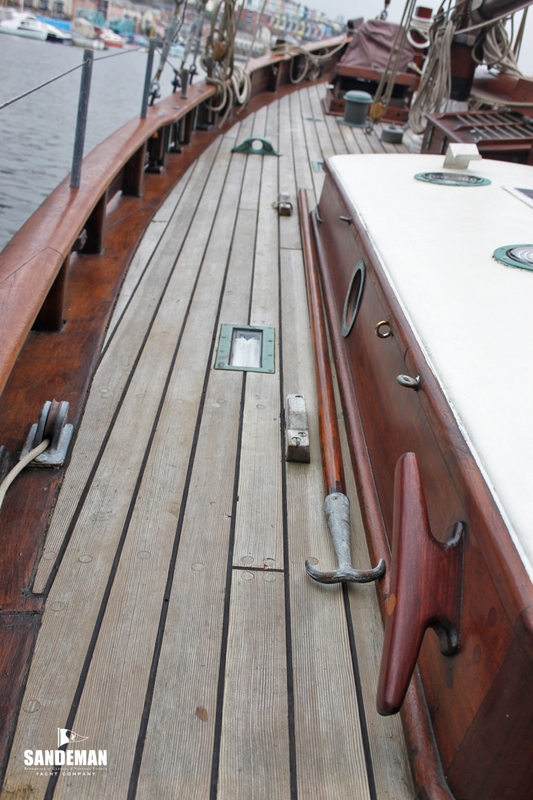 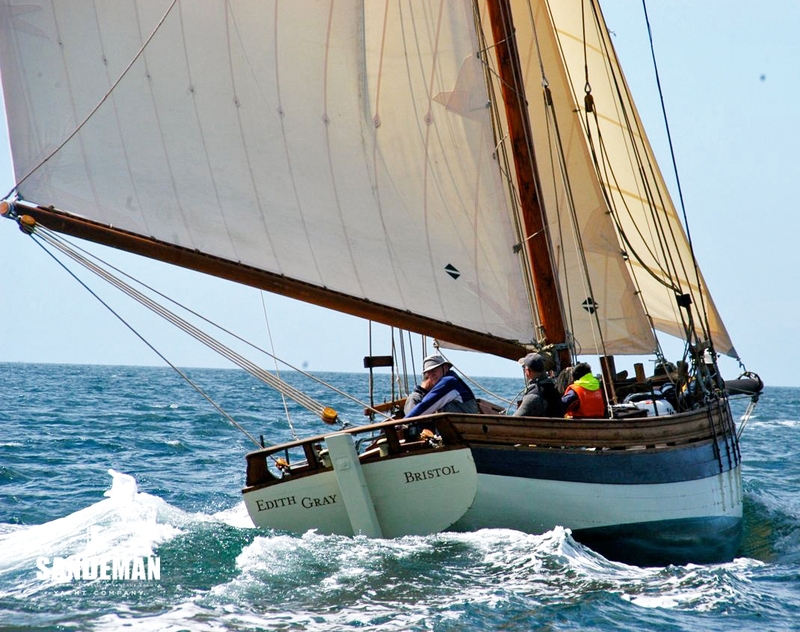 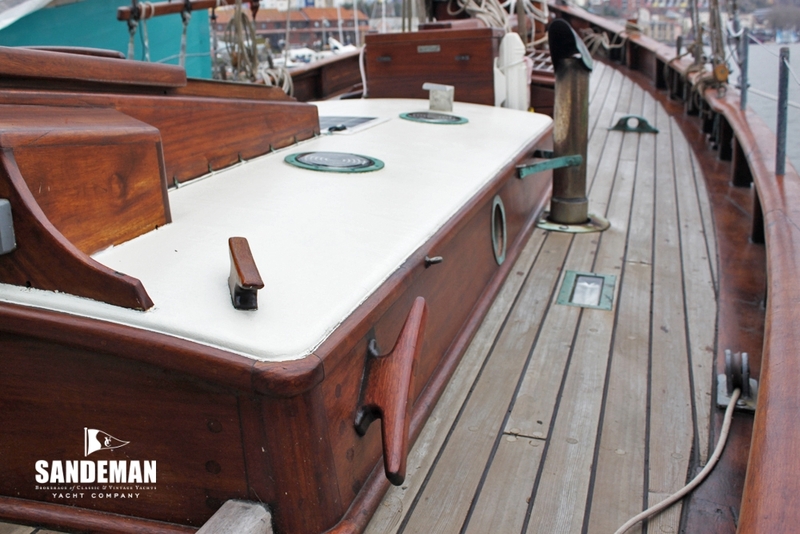 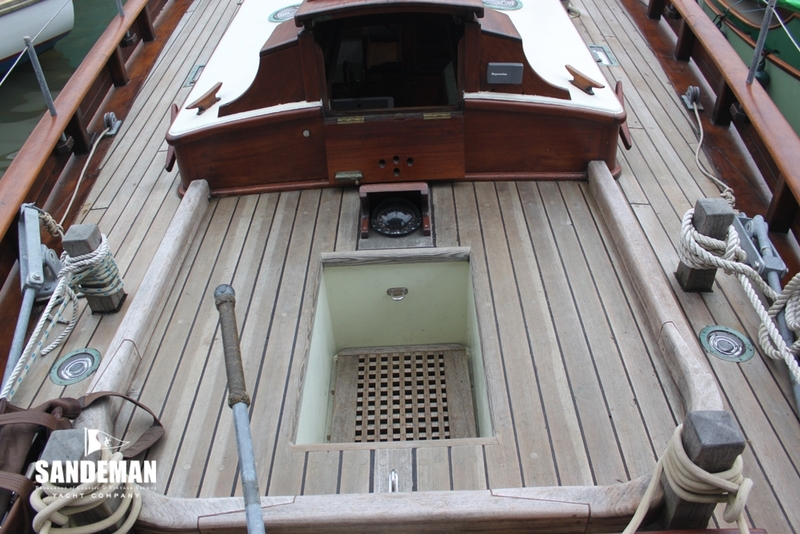 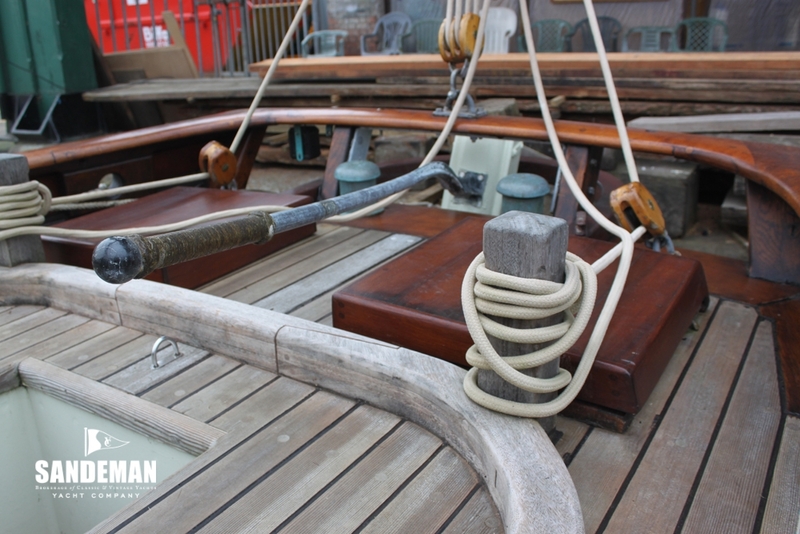 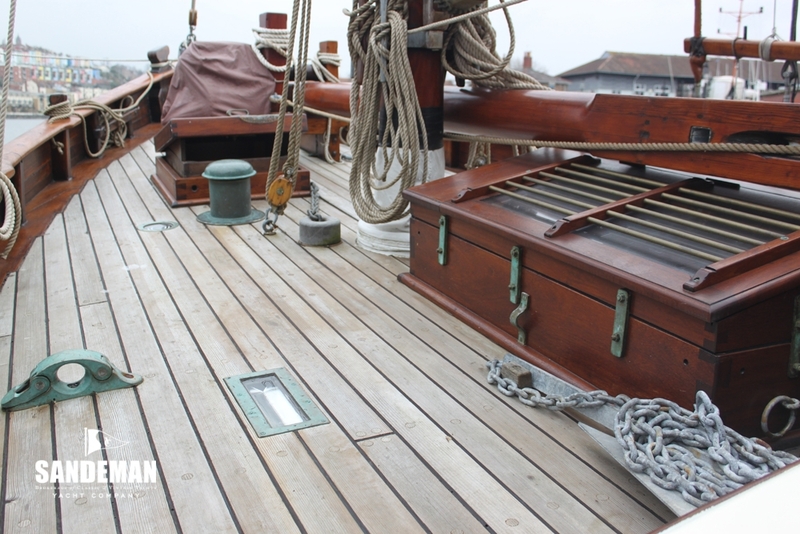 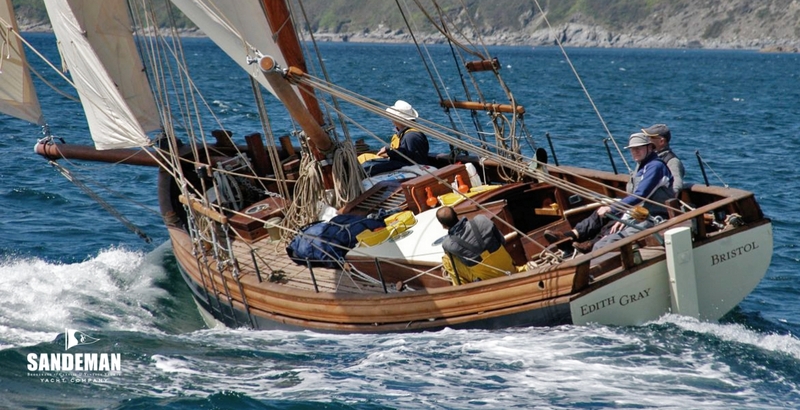 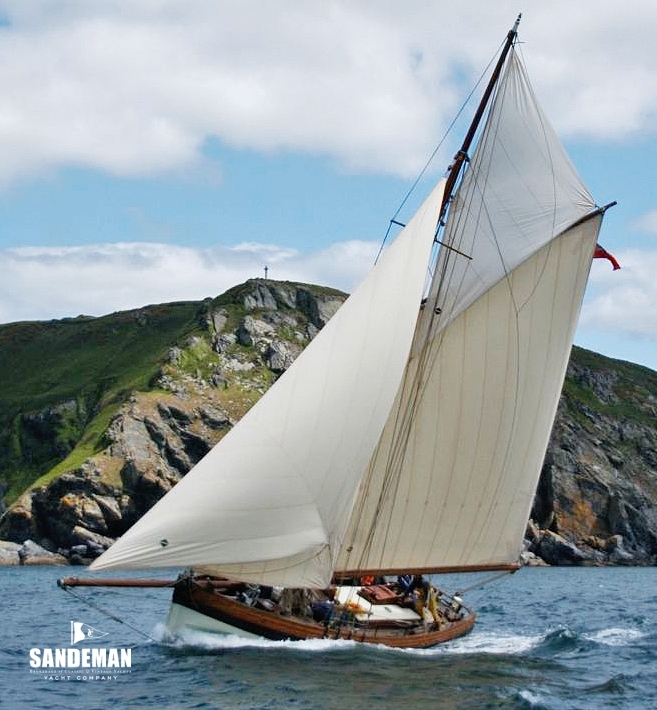 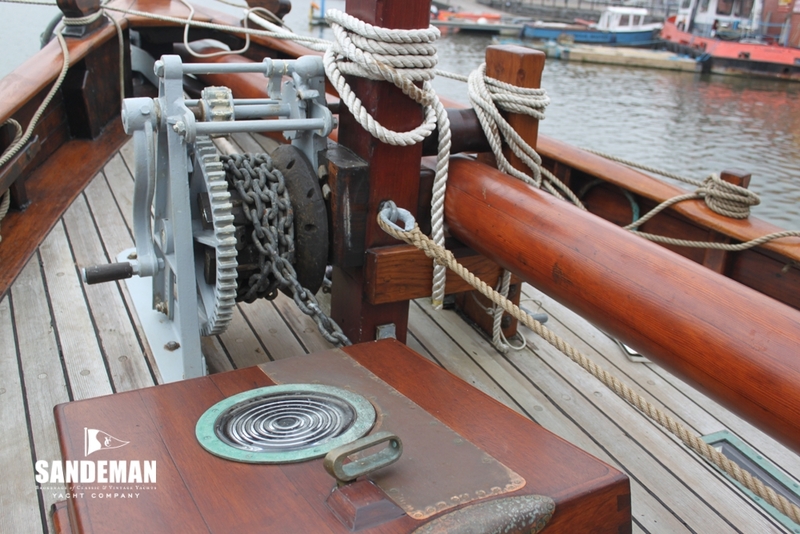 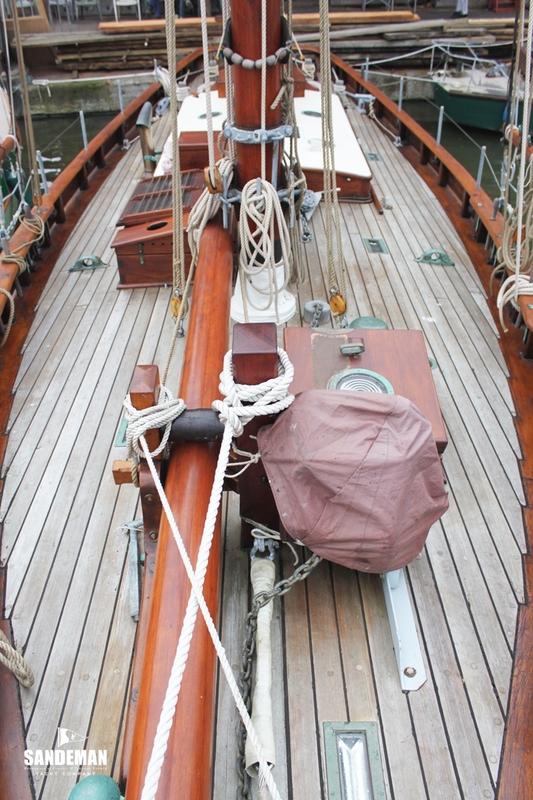 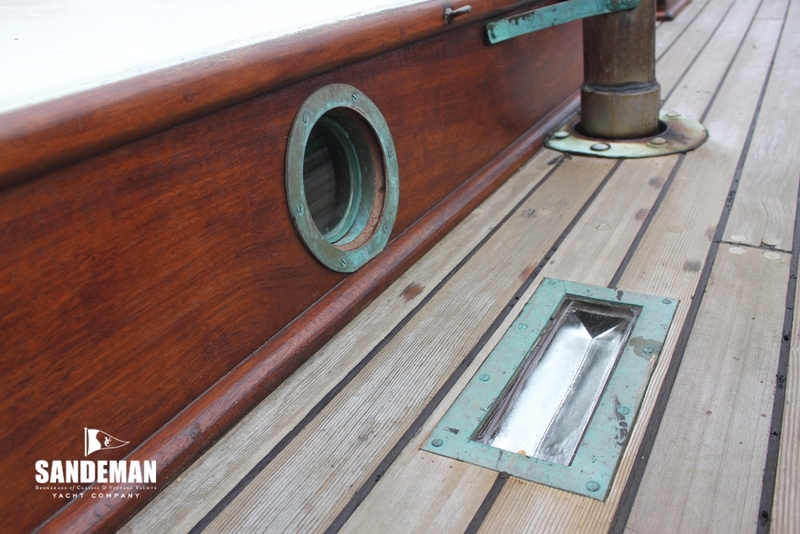 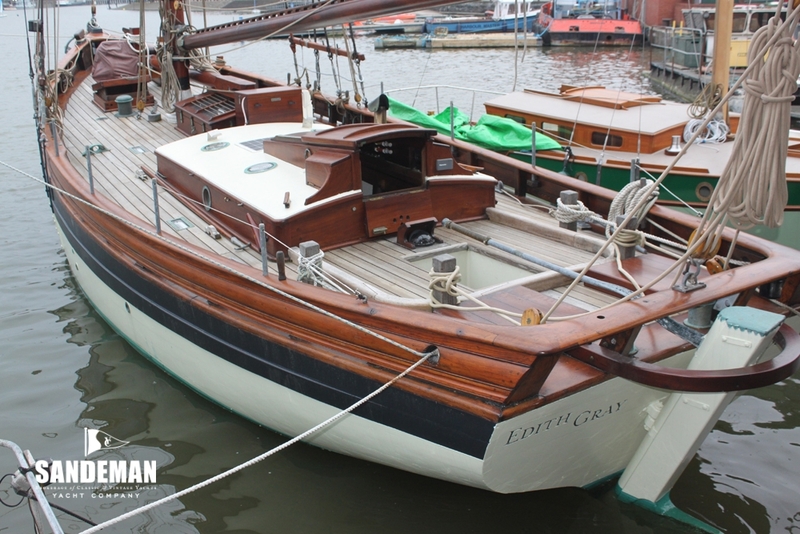 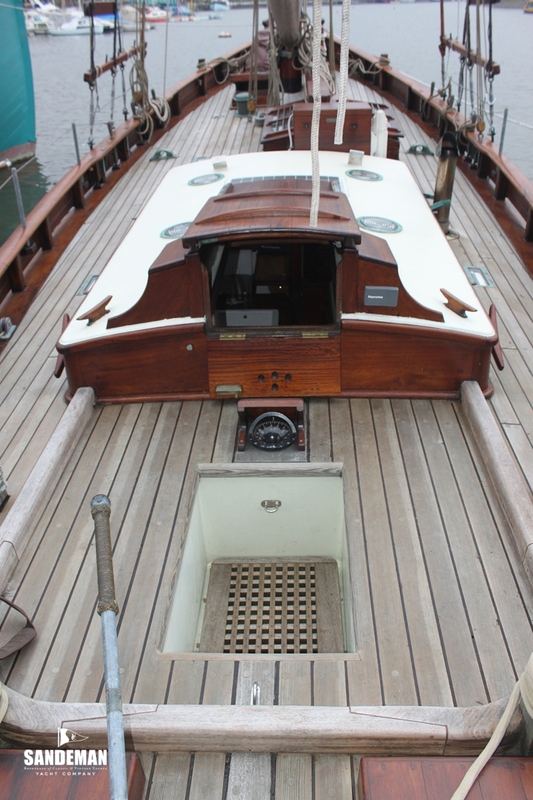 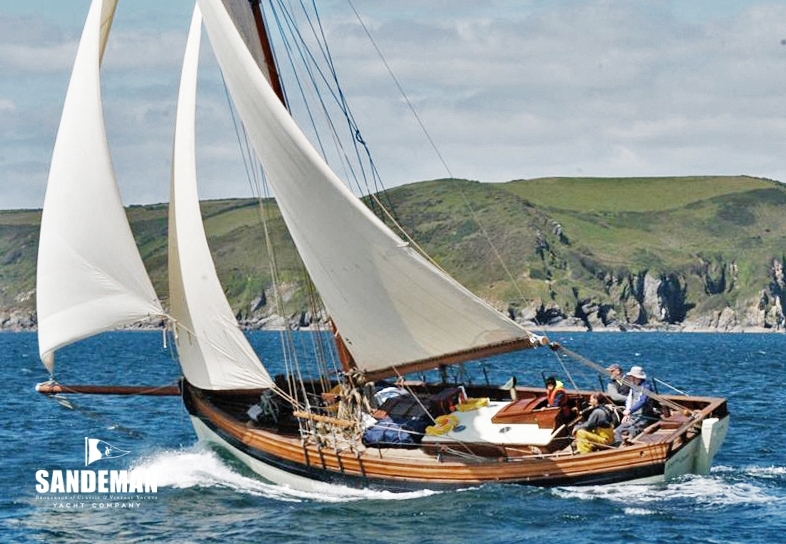 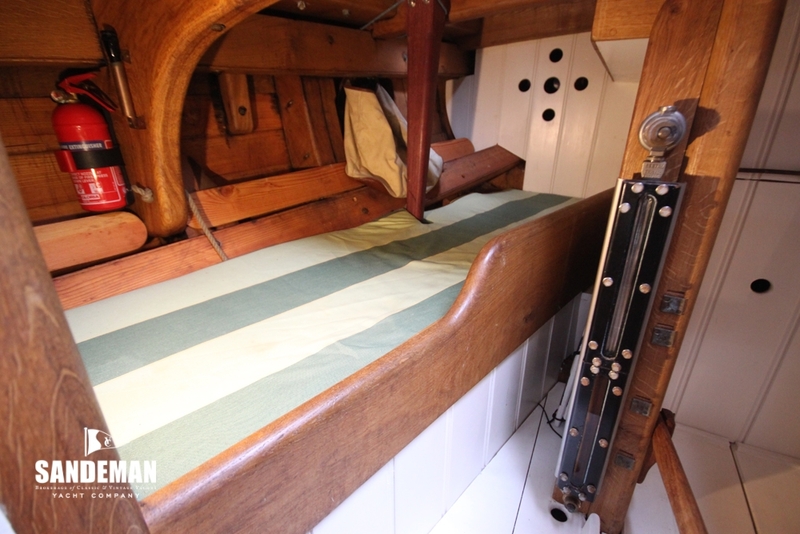 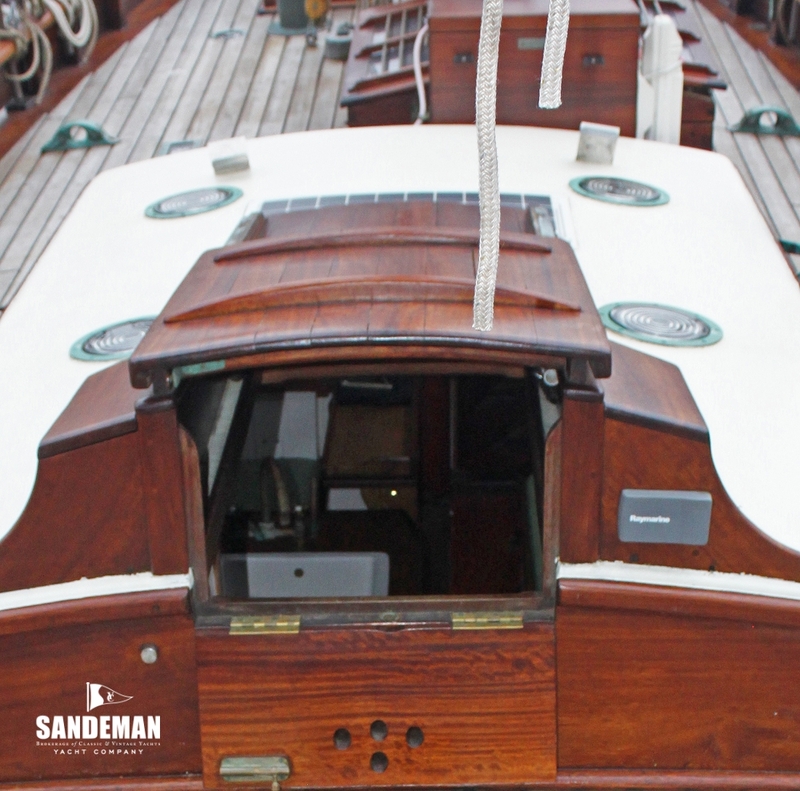 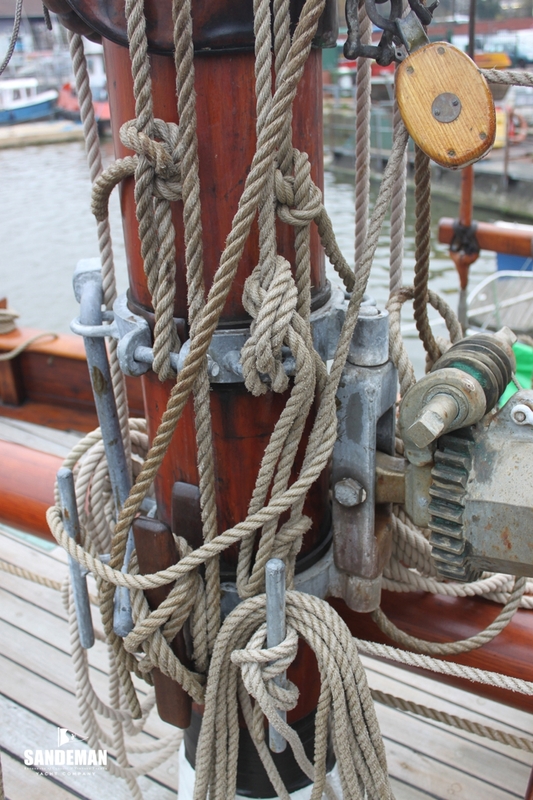 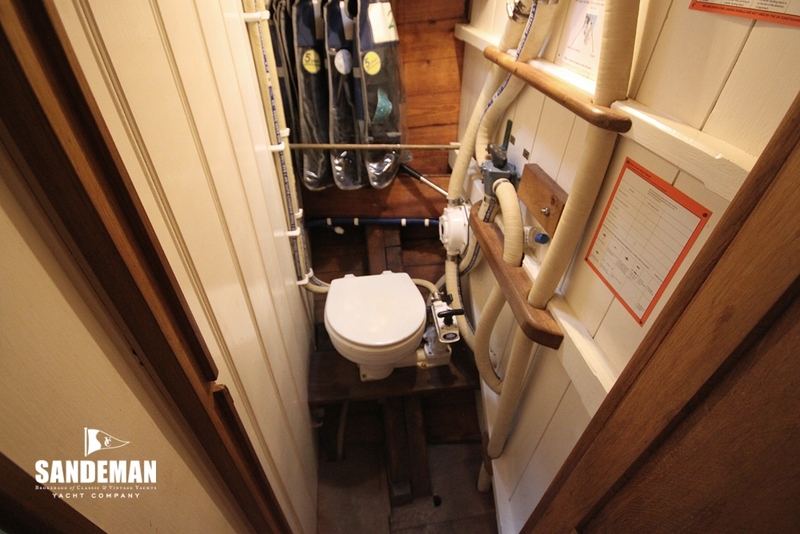 EDITH GRAY was designed and built in 2011 by John Raymond-Barker of RB Boatbuilding Ltd, Bristol - designed along the lines of the smaller transom stern pilot cutters. 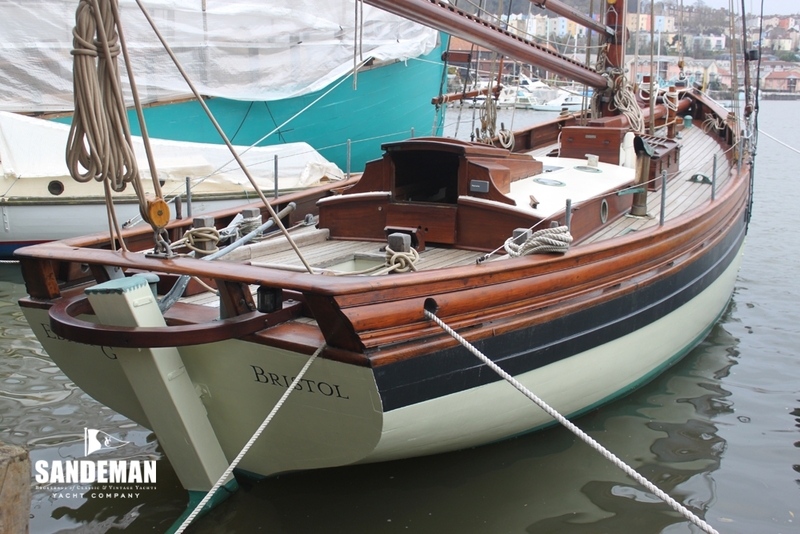 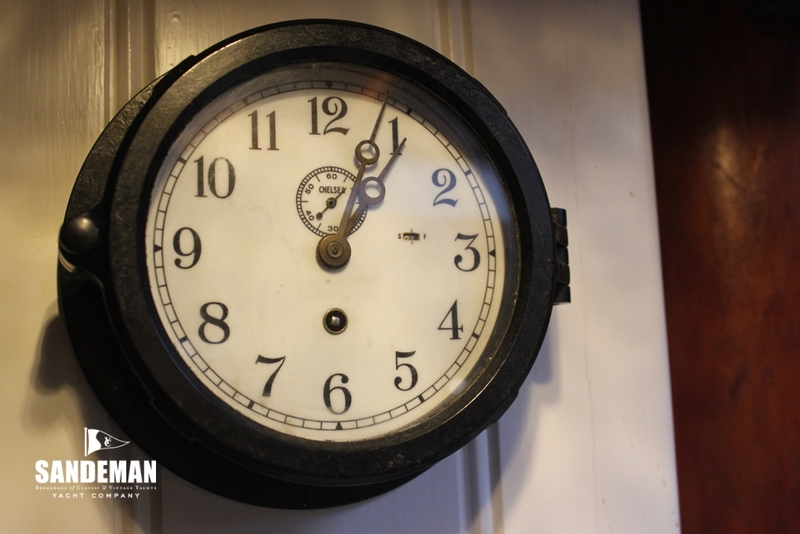 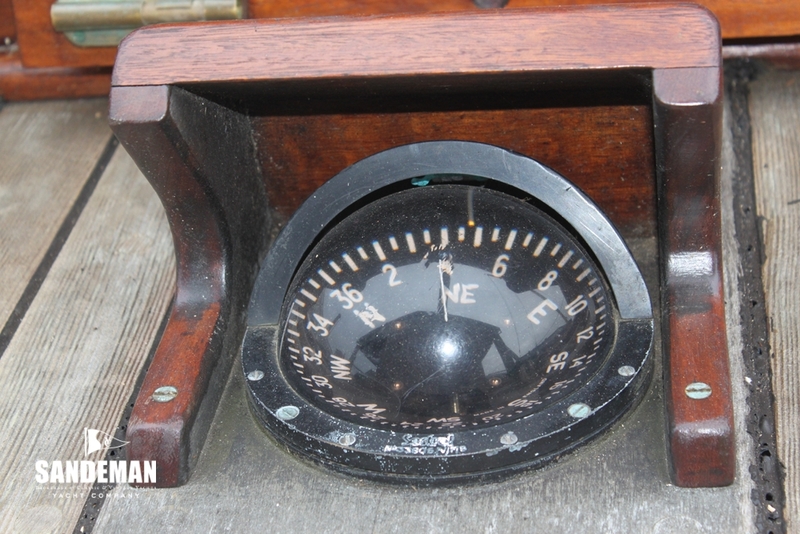 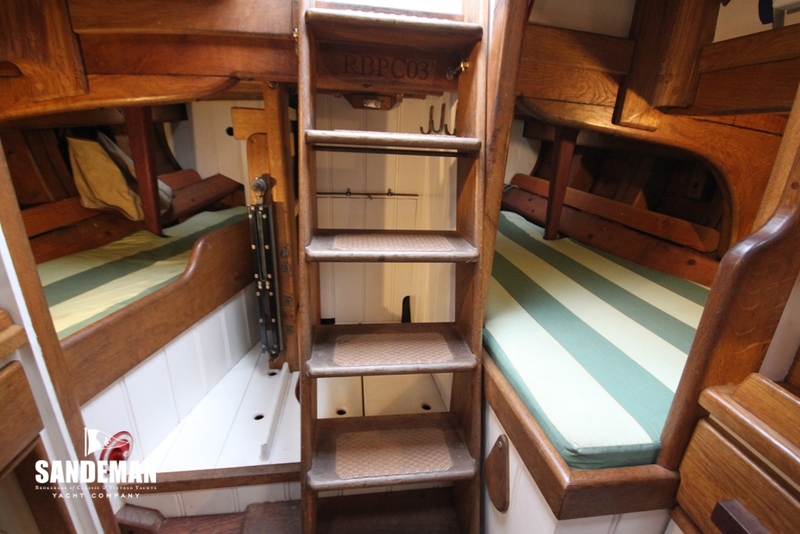 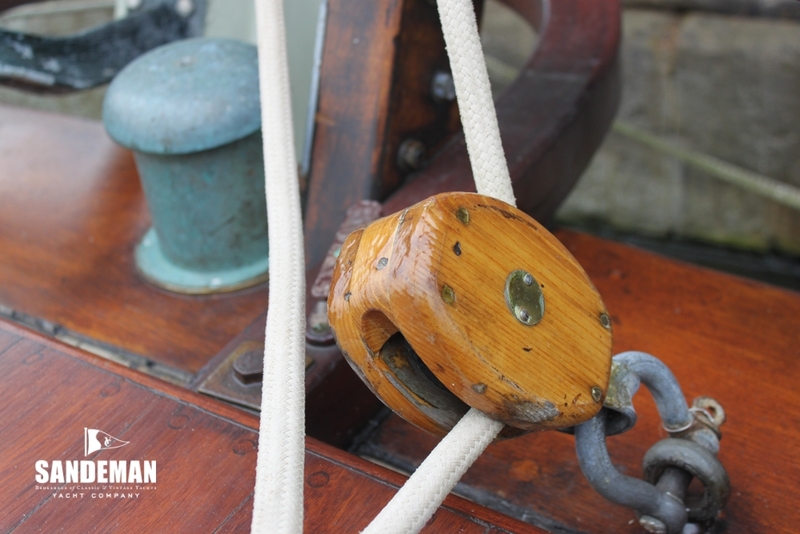 Inspiration was taken from BREEZE (1887) as well as the Bristol Channel Pilot Cutter DIARCHY of 1901. 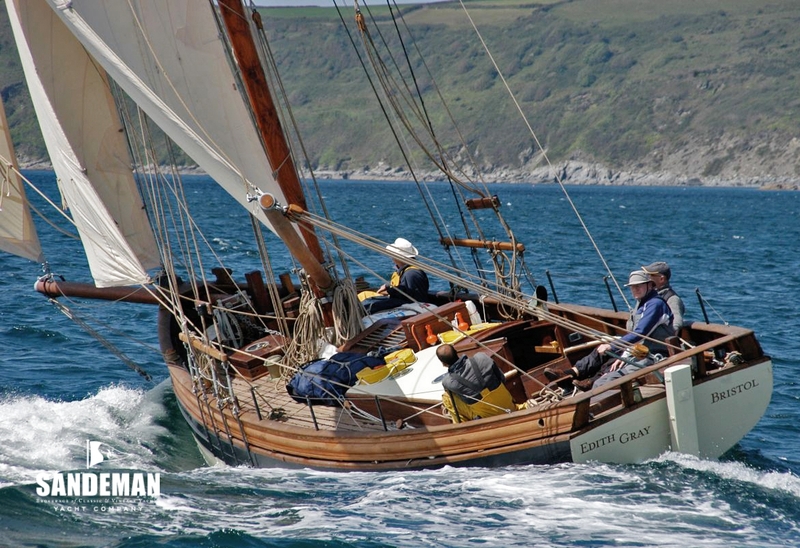 EDITH GRAY has already proven herself to be extremely fast when raced in the pilot cutter fleet, often taking first in class. 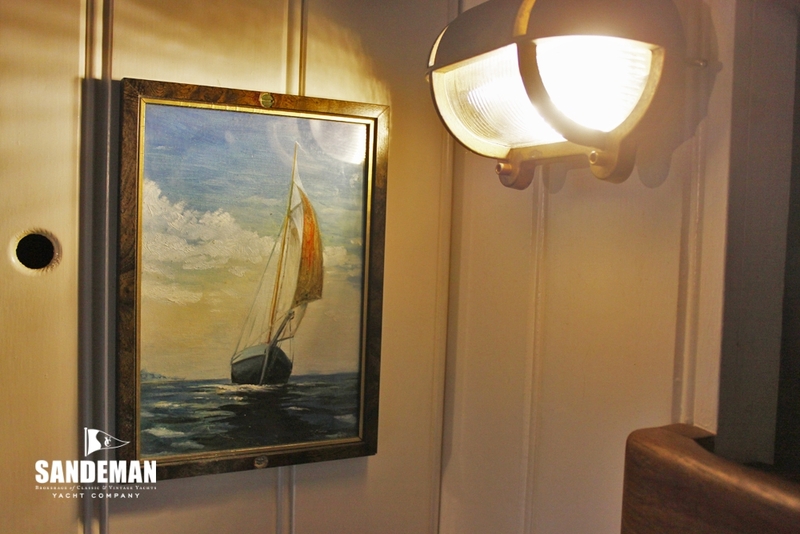 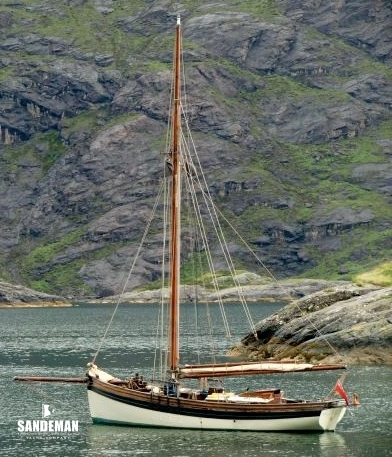 She certainly has that magic blend of function and simple beauty for which this style of boat is well known. 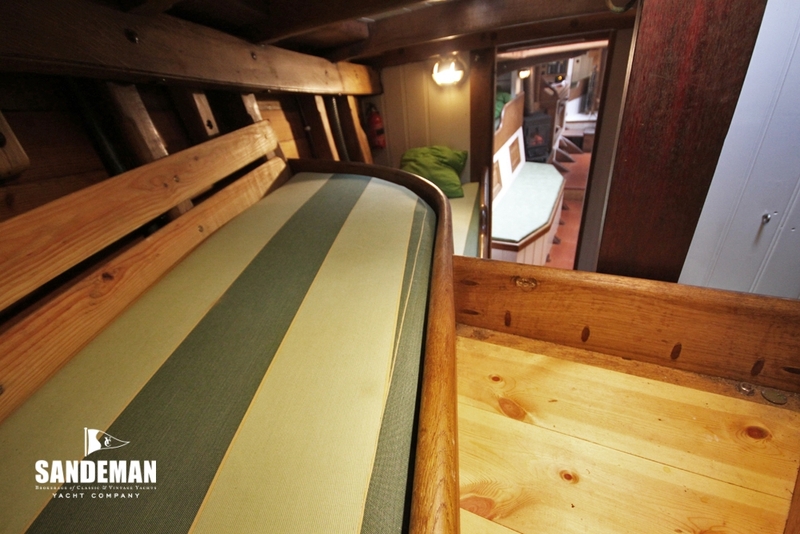 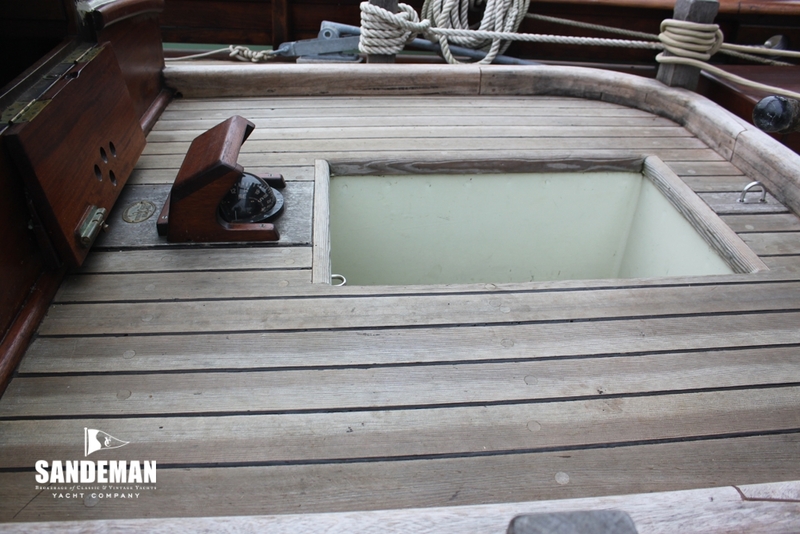 This is a boat that seems to hit a “sweet spot” for a number of reasons: at thirty eight and a half feet she is a handy size to sail short-handed yet she can accommodate up to 7 persons comfortably with berths to spare; her build quality is impressive both in her structure and detail above and below deck; but if her pilot cutter roots hint at how capable a vessel she is, her lines hint that she will be an exciting boat to sail and own. 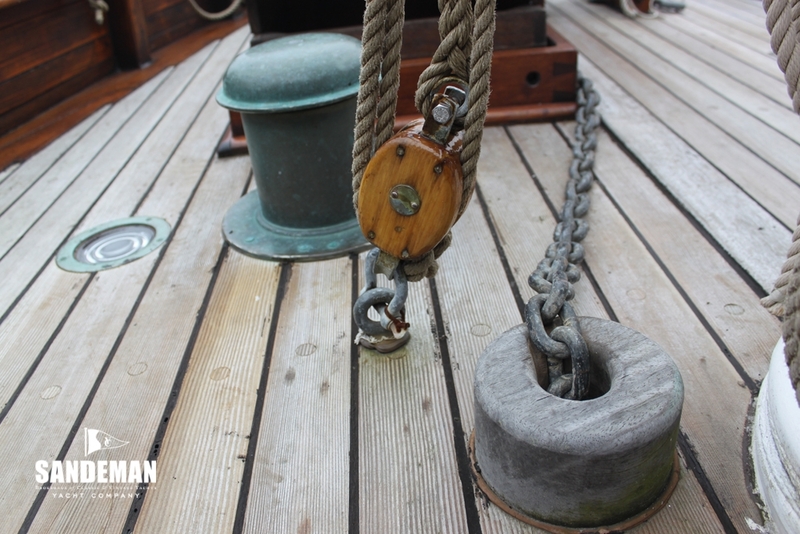 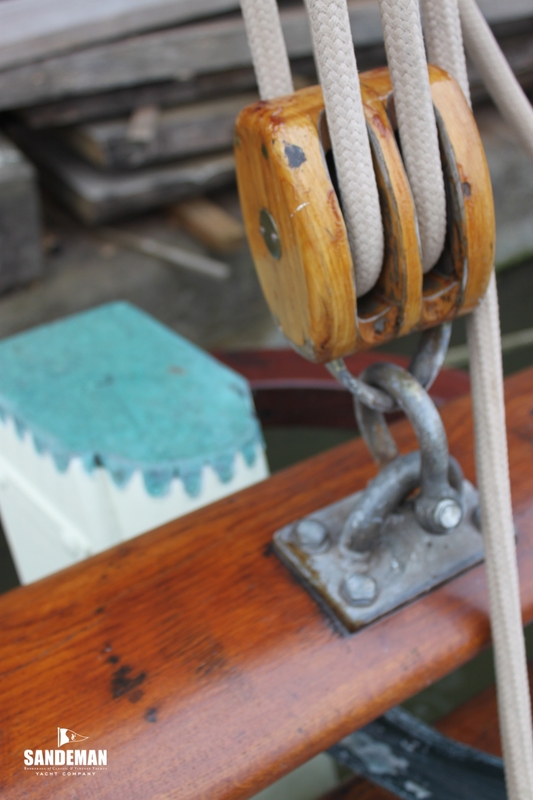 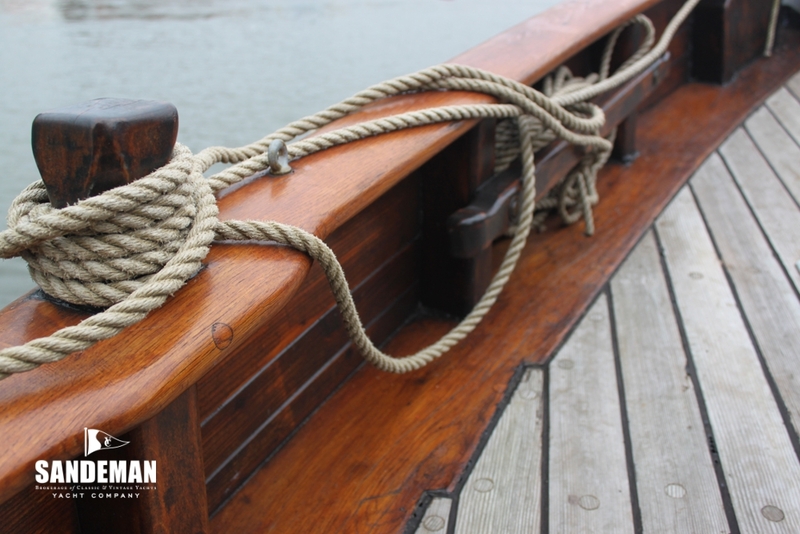 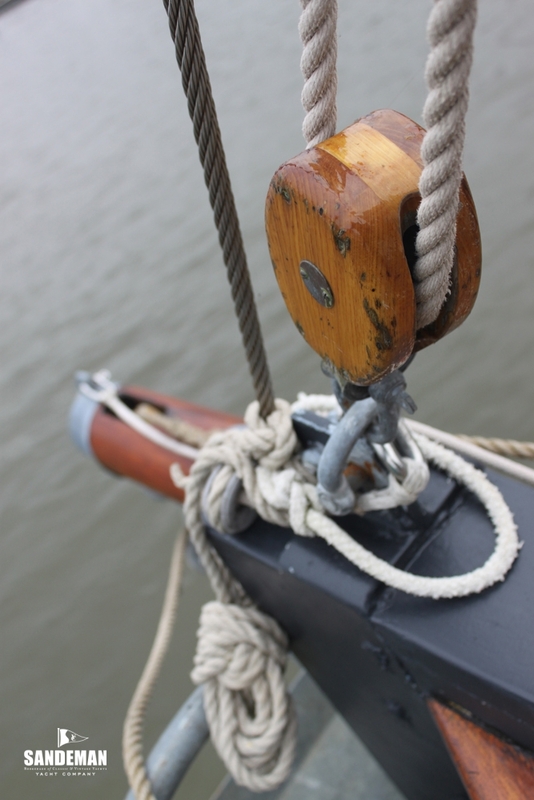 Seeing EDITH GRAY tied to the dock it is almost impossible not think of adventure! 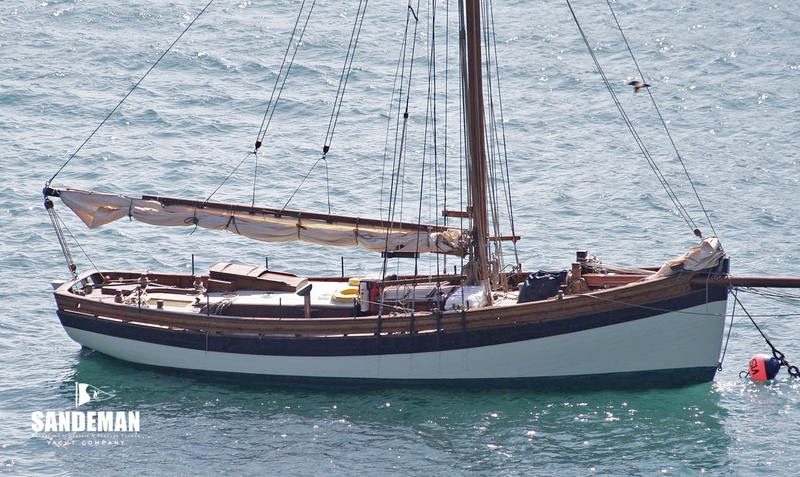 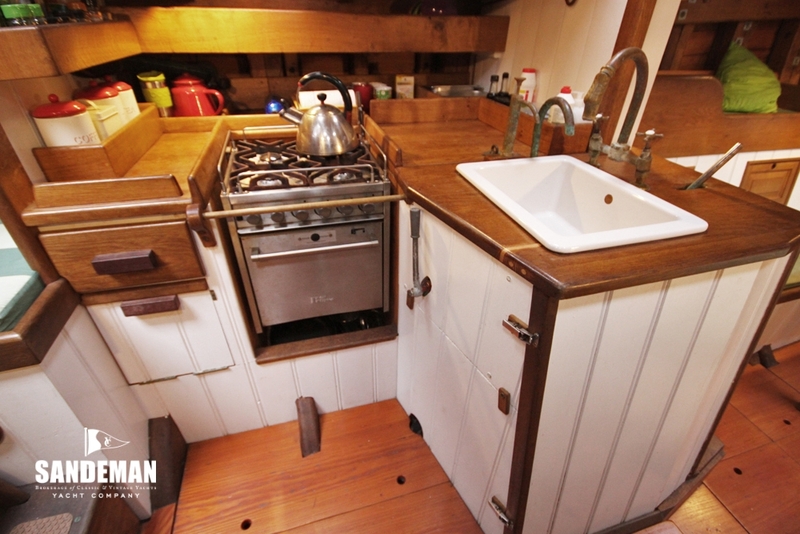 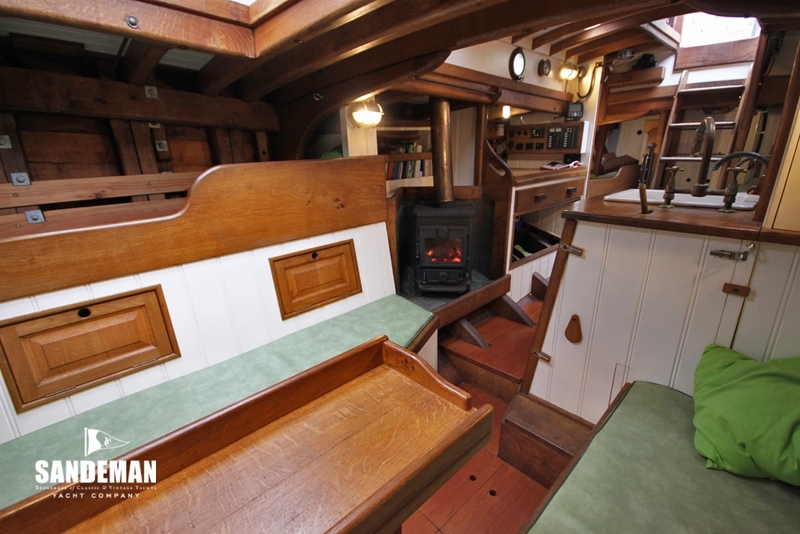 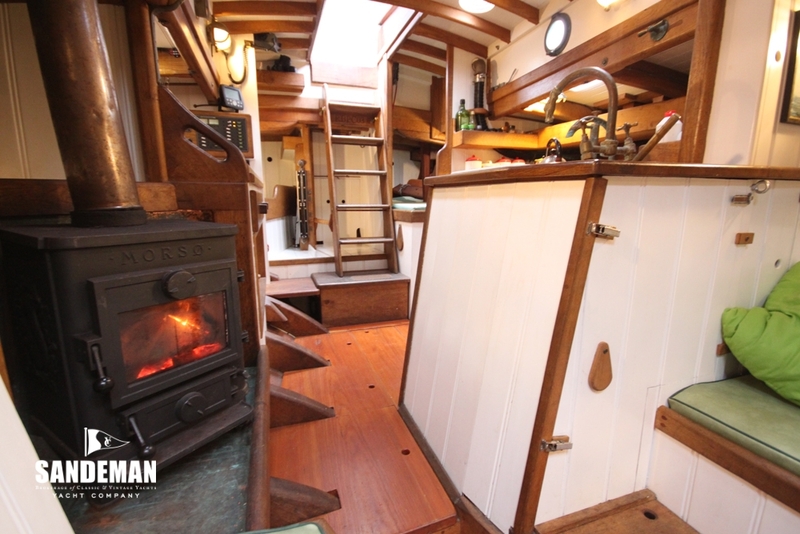 School fees have prompted recent price reduction – she is truly an exciting prospect! 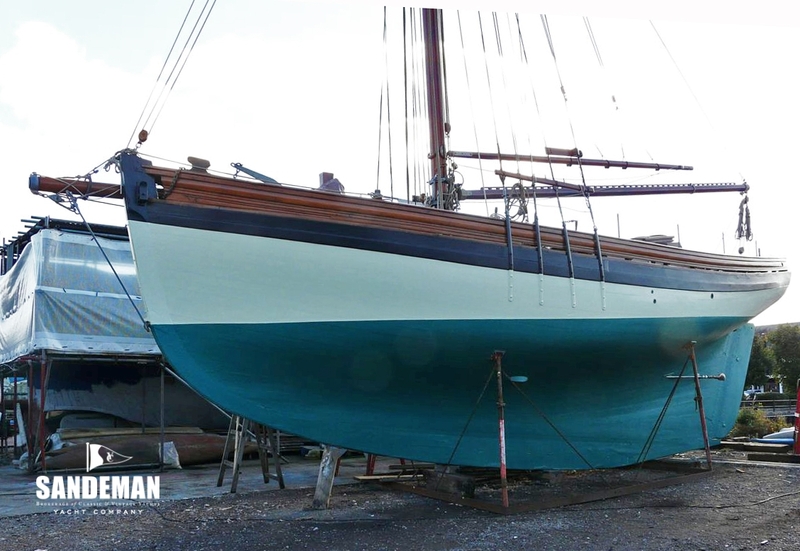 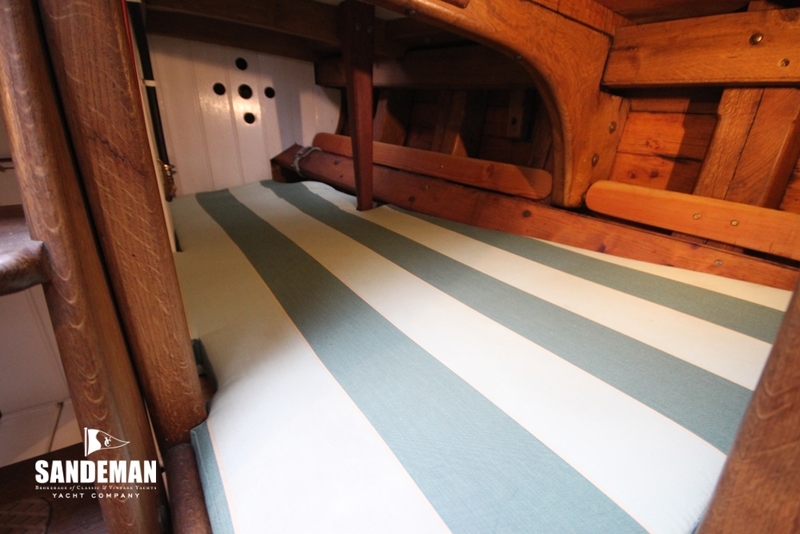 Launched in Bristol in 2011 her fine lines are based on the last of the sailing Bristol Channel pilot cutters and drawn for speed and weatherliness. 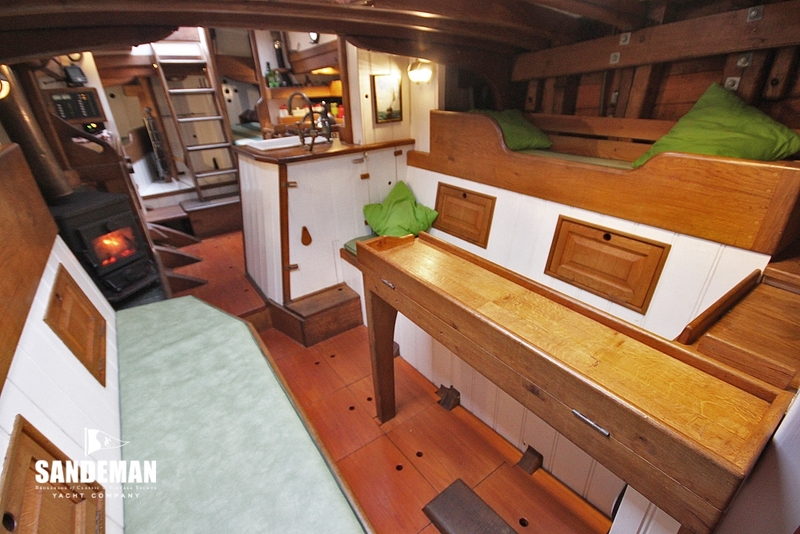 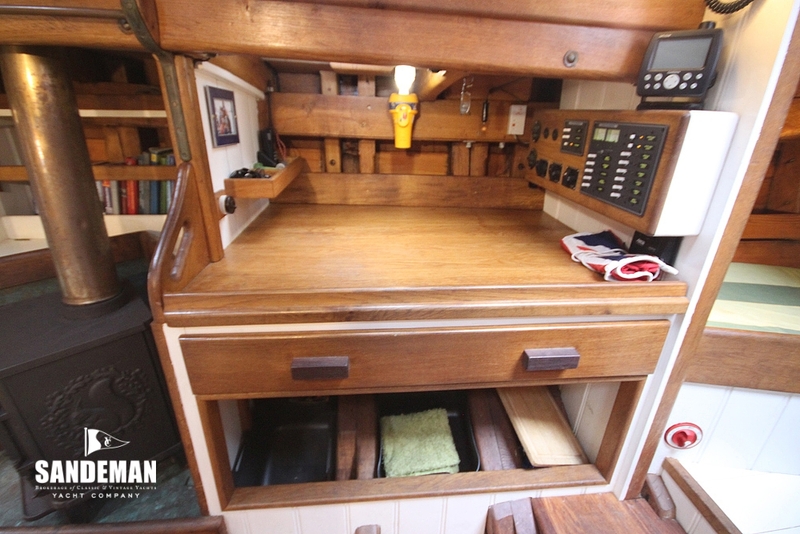 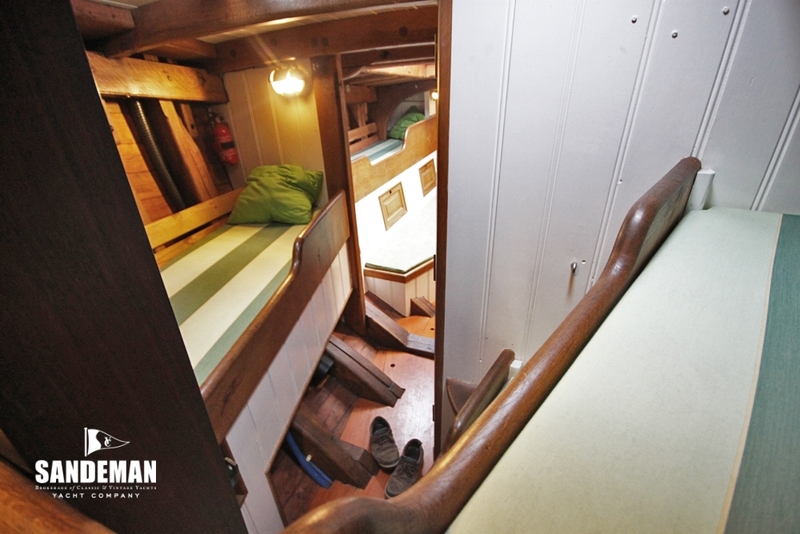 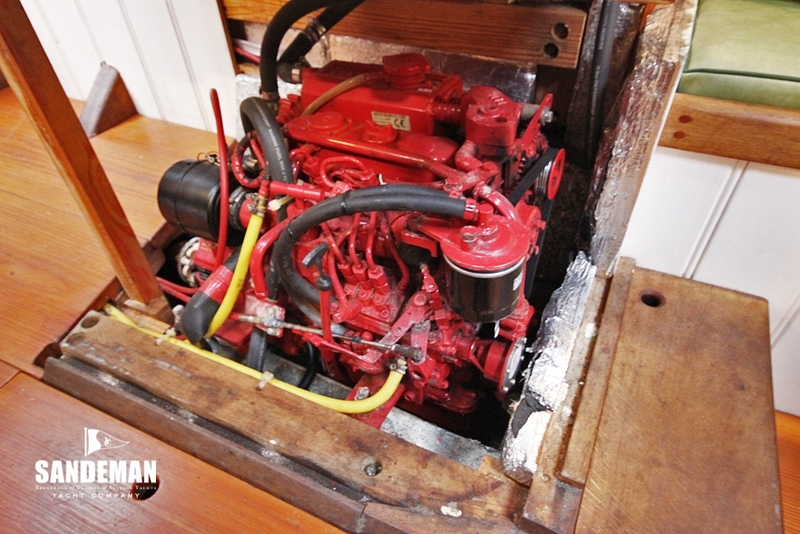 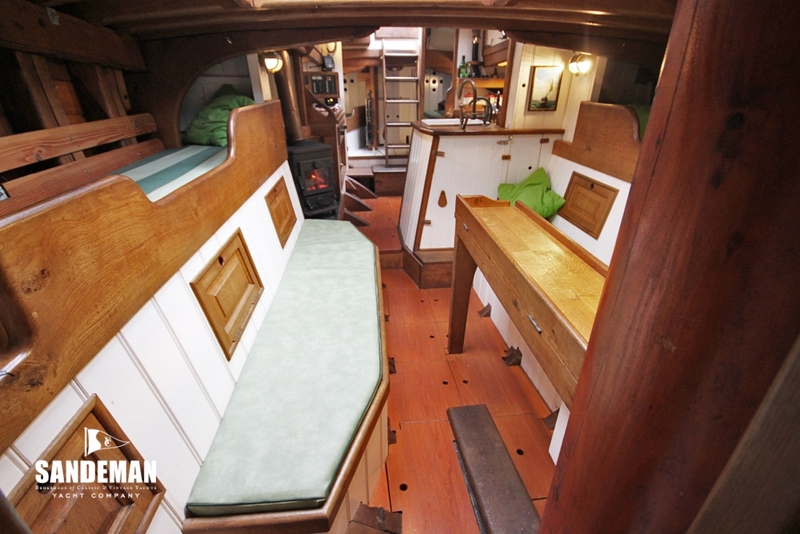 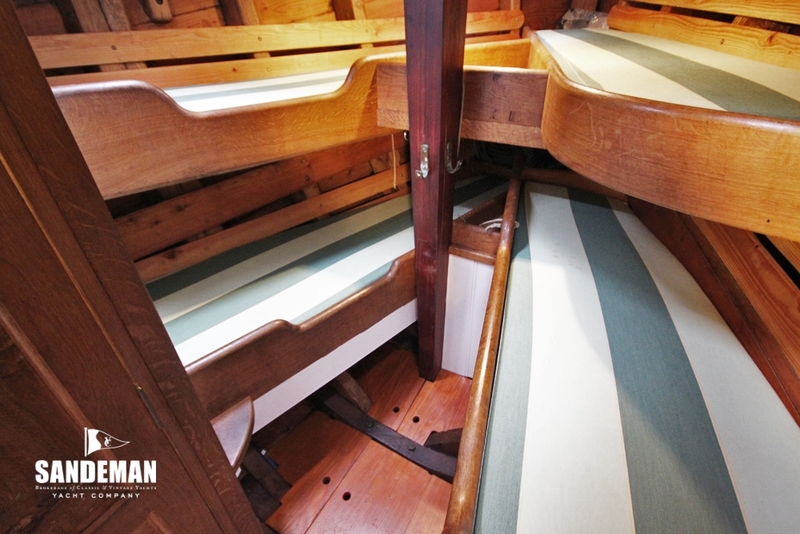 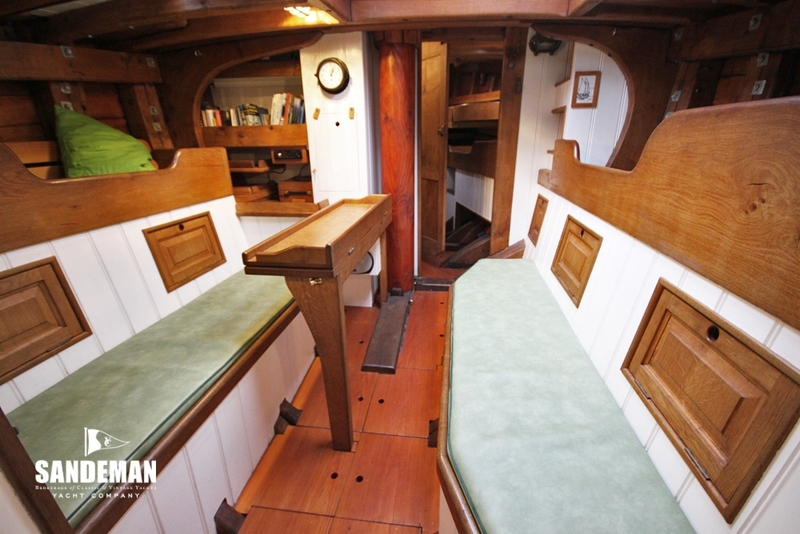 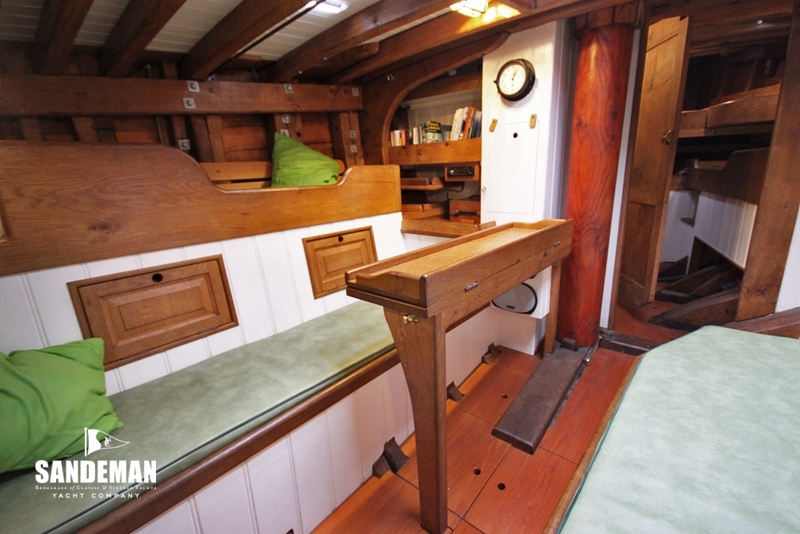 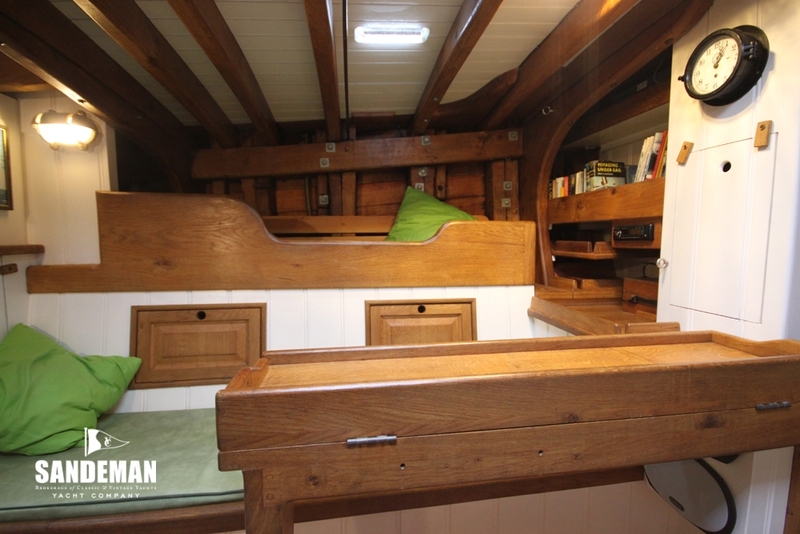 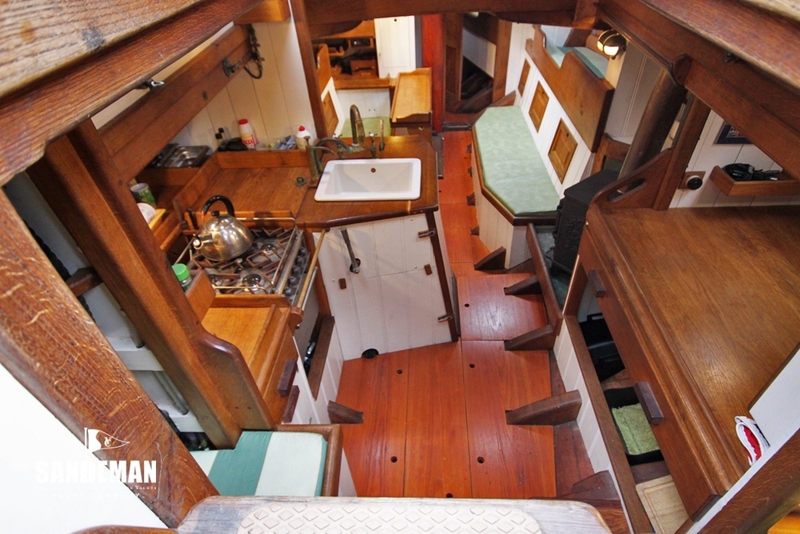 With three pilot cutter builds already under his belt owner John Raymond-Barker wanted for himself something smaller, faster – and frankly easier to sail as well as affording some reasonable comfort below. 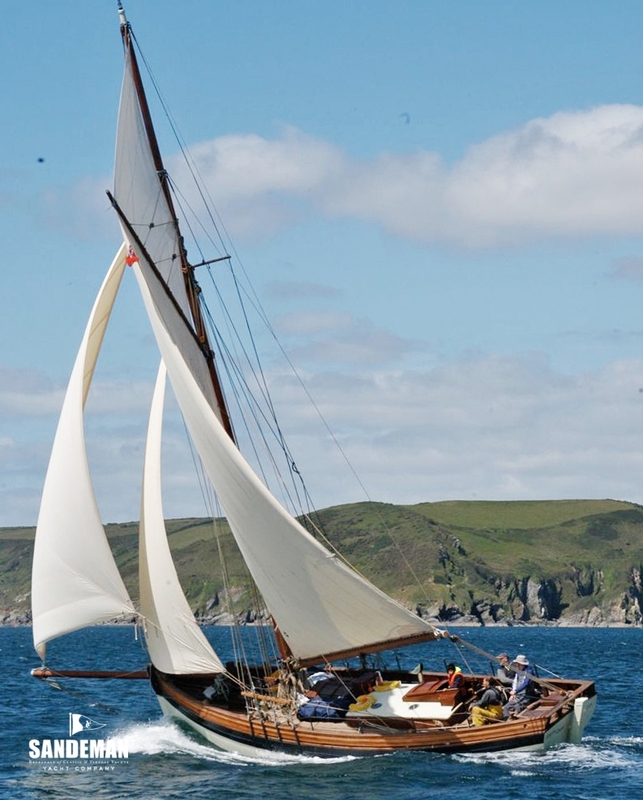 With EDITH GRAY, unconstrained by any other client expectations, he has been able to achieve all of these and since her launch has already made her mark at the races and in the yachting media. 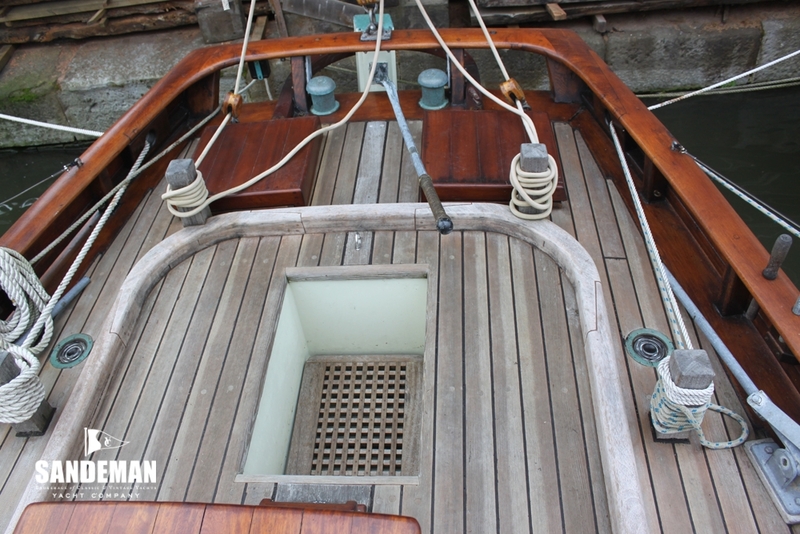 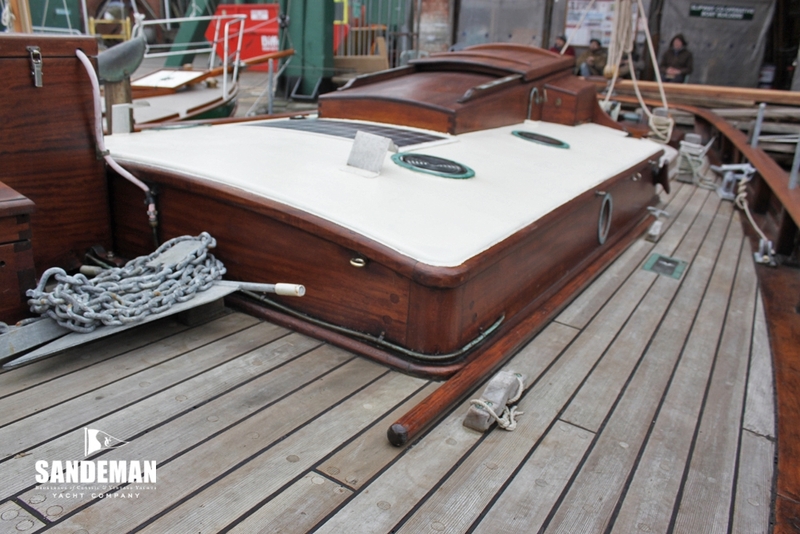 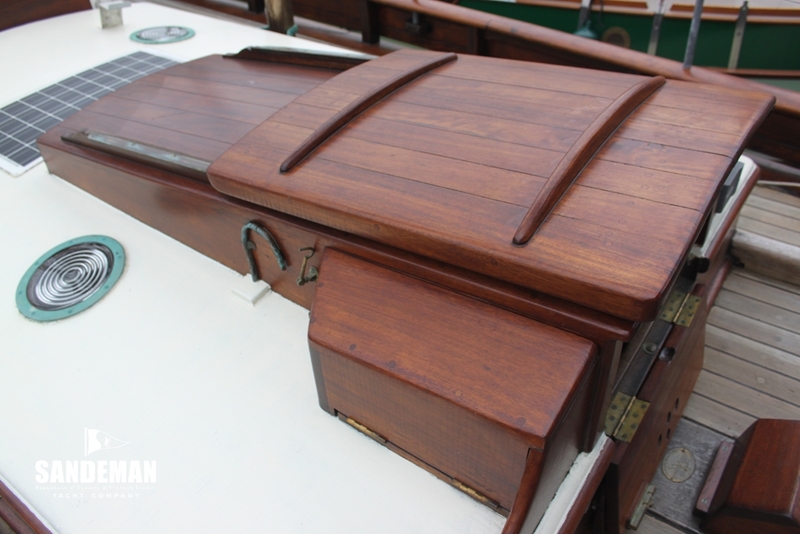 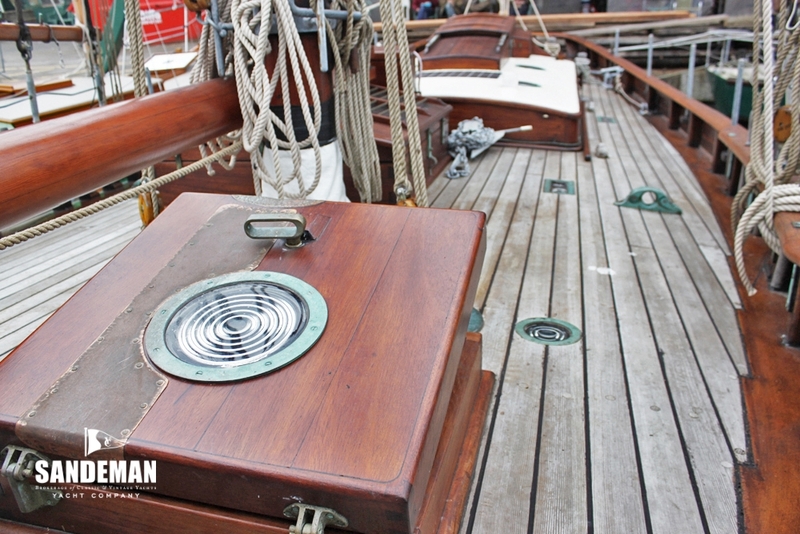 - Most Ansom Transom - for showing off in the harbour!